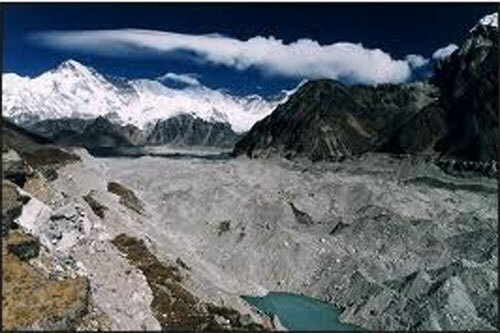 Cho-La pass is a popular trekking route with challenge and unforgettable panoramic views, well-conserved bio-diversity. Everest trek is famous for its spectacular mountain peaks with shiny snow, the loyalty, and friendliness of its inhabitants (the Sherpas). The Everest region (Khumbu) is significant destinations for tourists in Nepal. We also offer from Cho-La pass in Nepal with Everest base camp trekking in Nepal, many of the routes through the mountains are strenuous. There are plenty of places to rest and enjoy the meal along the way. Gokyo lake and Cho La Pass trek guide you through the foot of Mt. Everest through high Cho-La pass with an altitude of 5,420 m. This is classic and unbelievable trekking, visiting all of the high valleys of the Khumbu area with extra time at Gokyo to explore the upper Gokyo valley. In Gokyo valley, we can manage our time to climb Gokyo Ri 5,360 m. We may observe world famous four peaks above 8000 m namely Mt. Everest (8,848m), Lhotse (8,516 m), Makalu (8463m) and Choyu (8201 m) exposed above Gokyo. Toward the Everest base camp, our camp at Gorakshep provides the opportunity to ascend to Kala Patthar 5,545m for more spectacular views of the surrounding mountains, including the black rocky Everest from the southwest face. We will further get an excursion to Everest Base Camp from this end. Gokyo lake and Cho La Pass trek will take you to Gokyo Lake and over the Cho-La pass. We will have a circuit of Tawache and Cholatse. Entering the Khumbu Valley above Lobuche the trail continues up to Kalapatthar and back to Lukla via Tengboche, Namche Bazaar. In order to make our trek unique, we climb Gokyo Ri (5,488m) for a panoramic view of the greatest mountain scenery in the world. We can also see five 8,000m giants and many other peaks of the Mahalangur Himalayan range.